Check out the video about the blind runner making history. Having a disability usually means that you don’t get to experience life in the same way that other “normal” people can. Luckily, there are some technological advances that can let some disabled people get a measure of normalcy like those high-tech prosthetic that allow double amputees to run, for example. The other end of the spectrum involves the use of man’s best friend in the form of service dogs. 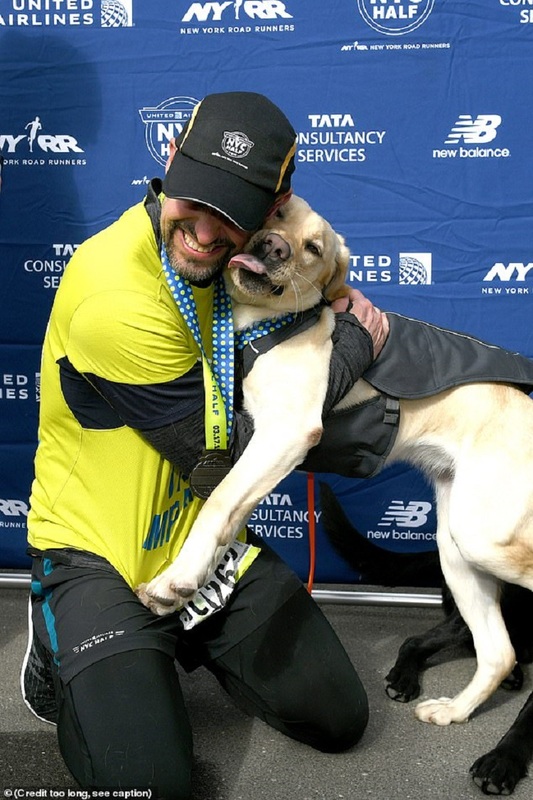 And in the case of 48-year-old Thomas Panek, who is blind, he also managed to make history by being the first blind runner to complete a marathon without the help of humans. And that was because he had the help of a relay team of three service dogs to get him through it. 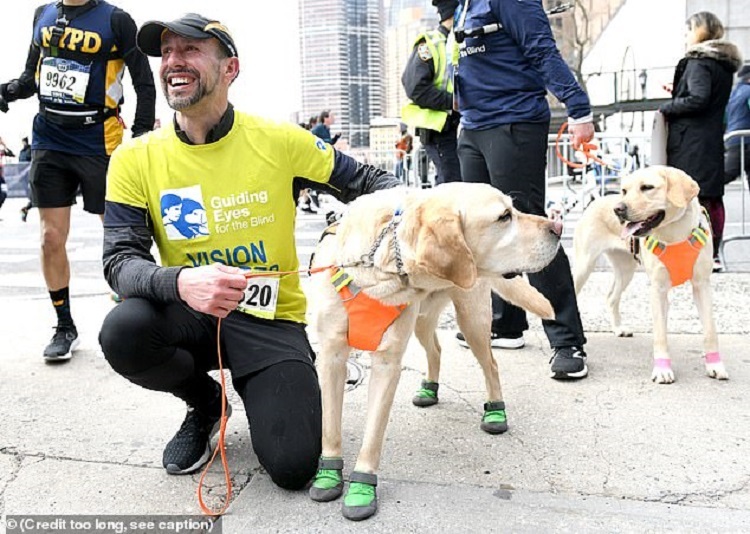 According to Guiding Eyes For The Blind, a charity that trains dogs for visually impaired people, Panek ran at the 2019 United Airlines New York City Half Marathon on Sunday and made history when he finished it without the help of other runners. In its website, the running club New York Runners mentioned that Panek completed the 13.1-mile race under two-and-a-half hours. He ran along while guided by his three Labrador retrievers, Waffles, Westley, and Gus with each dog running between three-to-five mile stretches. Panek’s pace was at an average of 10.5 minutes per mile, reported the club. Panek went blind in his early 20’s, according to CNN and other news media. And although he had already managed to finish 20 races, they were all achieved with the help of human guides. Sunday’s race makes his achievement a first in history for not using any human help at all. Speaking to CBS News, he said, “’When I lost my sight I was too scared to run,” but added that once he got used to being blind, he ran again, but always with the help of a fellow runner. Guiding Eyes posted a photo on Twitter after the race that showed Panek all smiles while hugging his dog Gus. Both of them were seen wearing marathon medals around their necks. Panek, who is a lifelong runner, is also the president and CEO of the New York-based Guiding Eyes. Around 20,000 runners competed in the marathon held on St. Patrick’s day which passed through Times Square. And one thing is for sure, Panek was in good hands, no, paws, when he did it!